It was just Game 1 with newcomers George Hill, Rodney Hood, Jordan Clarkson and Larry Nance Jr. in a Cavaliers uniform. But after a 121-99 rout of their fellow Eastern Conference power Boston Celtics, James, Altman and the revamped Cavaliers finally had reason to smile again. 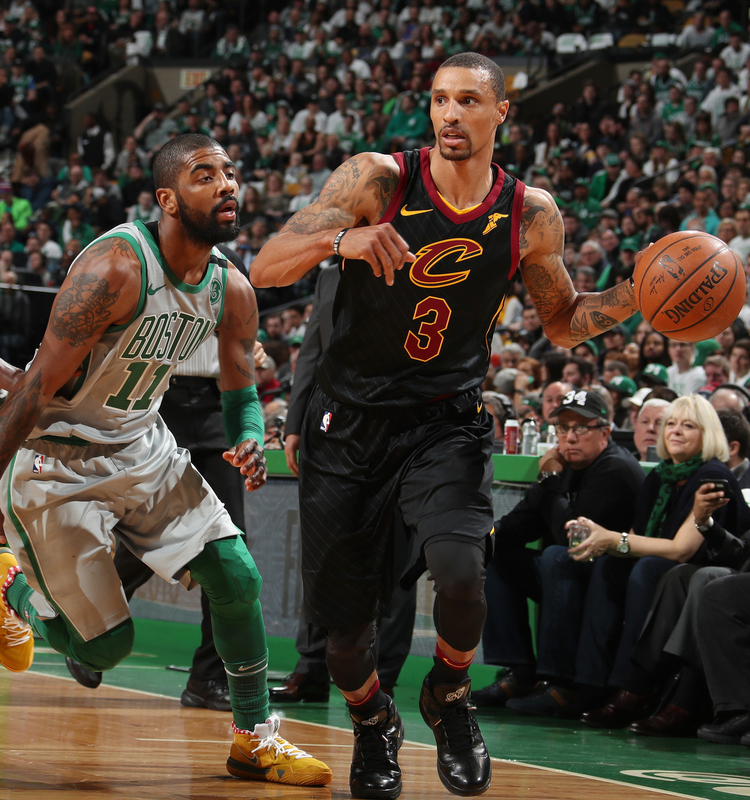 The Cavaliers entered the 2017-18 season with legitimate title hopes after advancing to three straight NBA Finals — and that was even with All-Star guard Kyrie Irving being traded to Boston, per his wish. The Cavaliers still had four elite stars on their roster in James, Love and newcomers Isaiah Thomas and Dwyane Wade. But on Feb. 6, the sky seemed to be falling for the Cavaliers after they blew a 21-point lead en route to an embarrassing 116-98 loss to the struggling Orlando Magic. Thomas, who missed the first part of the season while recovering from a hip injury, had not regained his All-Star form and voiced his displeasure off the court. Love is sidelined until late March with a left hand fracture. Wade wasn’t the old “D-Wade” anymore. James and Thomas didn’t see eye to eye on or off the court, sources said. And it was at that point that Altman and the Cavaliers, according to a source, decided it was time for major change to salvage a season with suddenly questionable title hopes. Coach Tyronn Lue acknowledged that the Cavaliers had a bad spirit before the newcomers’ arrival. The Cavaliers were already in talks with the Los Angeles Lakers about Clarkson and with the Sacramento Kings about Hill but worked behind the scenes to make bigger moves on NBA trade deadline day, a source said. After the Cavs lost to Orlando, the Clarkson trade talks grew into something much bigger. In the first big move on Feb. 8, the Cavaliers acquired Clarkson and Nance from the Lakers for Thomas, forward Channing Frye and a protected 2018 first-round pick. The Thomas era was over not long after it started. Meanwhile, young and talented Cavaliers newcomers Clarkson and Nance were excited to go from no playoff expectations to NBA championship expectations. Hill was excited about the rumors about being traded to the Cavaliers but made a point to temper his excitement until it was officially completed. 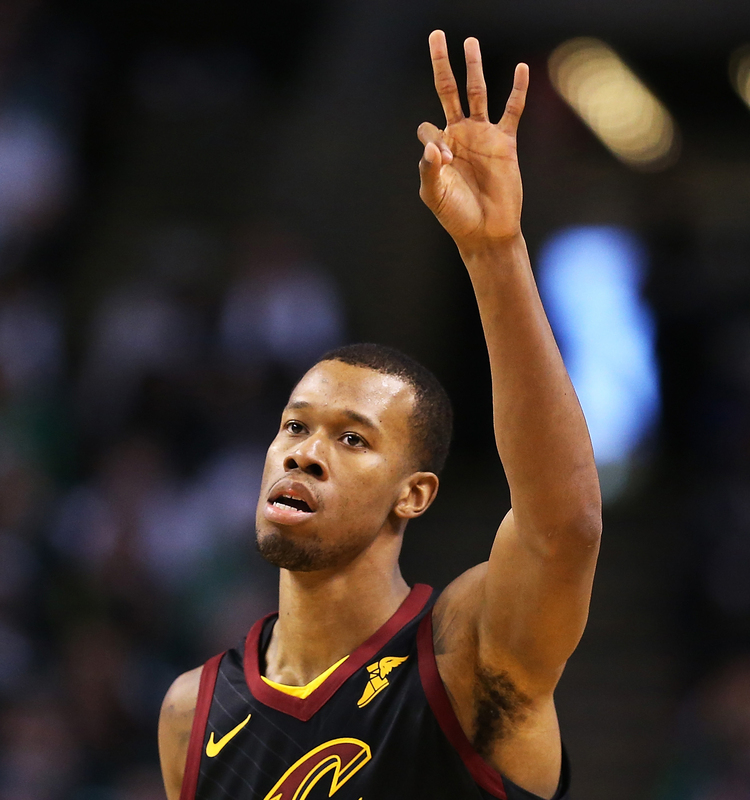 The addition of Hill brings Cleveland a veteran guard with 80 career playoff games who is defensive-minded with long, menacing arms, was the NBA’s top 3-point shooter, is outstanding in defending the pick-and-roll, has no problems voicing his opinion to James and every other teammate in a constructive way, and is still productive without the ball. With two more years left on his deal, Hill could also solidify Cleveland’s point guard position after the void left by Irving and Thomas. Late on the morning of Feb. 8, Cleveland acquired Hill from the Kings for guard Iman Shumpert as part of a three-team trade. And once a gleeful Hill got the call that the trade was done, he instantly engaged in a victory lap while holding his infant daughter. Equally as excited was James. The Cavaliers also acquired Hood from the Utah Jazz in the three-team trade that sent forward Jae Crowder to the Wasatch Range. Meanwhile, the Cavaliers also did Wade a favor by dealing him from a team suddenly deep in guards to his beloved old club that he probably never should have left, the Miami Heat. The Cavaliers traded Thomas, Crowder, Frye, Shumpert and Wade, all on Feb. 8. Cavaliers forward Jeff Green called his agent just to make sure he wasn’t next before the 3 p.m. EST trade deadline arrived. “It was crazy. I’ve been part of a trade …,” Green said. “That was crazy. My wife and I were sitting in the house and I was packing because we had a road trip. And I remember going to my bag and I came back, turned on the TV and it was the first trade, Isaiah. Damn. ‘Let me text Isaiah.’ Then I got up and walked away for two minutes and [ESPN’s Adrian] Wojnarowski was talking about the I.T. trade and they said, ‘Welp, we got another one for Cleveland.’ Then two seconds later, it was D-Wade. And then I text and said, ‘Who’s next?’ because you never know. Instantly, Hood, Hill, Clarkson and Jordan went from rebuilding situations to playing alongside a title-seeking James. The Cavaliers practiced on Feb. 10 and entered the Celtics game with just a few offensive sets in hand as Lue hoped to keep it all simple. Making the spotlight even brighter was the Celtics-Cavaliers matchup being featured nationwide on ABC as former Celtics great Paul Pierce had his No. 34 jersey retired. Hood has played in 227 career NBA games, but he was “definitely nervous” about his Cavaliers debut. If the new-look Cavaliers were nervous, unprepared or overwhelmed, you couldn’t tell. James told his teammates before the tipoff to play loose and play hard and not to worry about mistakes. The Celtics owned a 32-31 lead through the first quarter. But the Cavaliers took over Paul Pierce Day by outscoring Boston 90-67 during the last three quarters. Hill calmly orchestrated the offense and nailed all four of his 3-point attempts. Hood added 15 points and three 3-pointers. Clarkson scored a bench-high 17 points and celebrated after nailing his three 3-pointers by holding three fingers to the hardwood as he ran down the floor. And Nance Jr. — like his father, a former Cavs star — dribbled down the lane for a replay-worthy dunk and enjoyed an alley-oop slam. 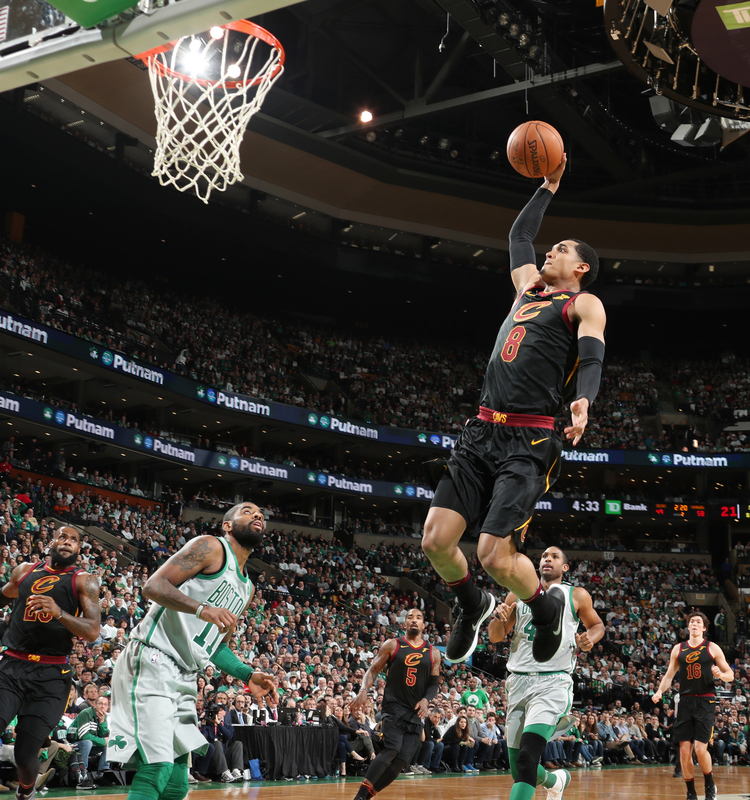 James added 27 points, while the Cavaliers’ defense limited Boston to 40.4 percent shooting from the field and 26.8 percent shooting from 3-point range. Basketball was fun again for James and the Cavaliers. Lue said it was a “good sign” that the newcomers played well in a “big game.” He also added that the “spirit was different” on this day and he was confident the Cavaliers would compete and play hard. “They played hard. They competed. It was just good to see our team smiling again and having fun,” Lue said. The Cavaliers do not have much time to practice before the playoffs begin in April. Cleveland will have only one practice before next weekend’s All-Star break and will have to lean on future shootarounds to get time in. Green said the key is getting healthy and understanding each other and getting better as a team for the long term. The odds are typically against NBA teams having major success after making one big trade at the deadline, let alone adding four new key players. But if the new-look Cavaliers’ debut is any indication, there is much more reason for optimism now than after that Orlando loss. “It was great. We were just having fun and enjoying the game again. When you win, that happens. When you lose, it doesn’t matter what type of group you have, you’re still going to be down. Just playing well, each guy cheering for another guy. It was just good to see tonight,” Lue said. The elephant in the room for Cleveland is that James can become a free agent this offseason and could depart his home state. The bold moves that Altman made, however, give Cleveland a much better argument for the four-time NBA MVP to stay. Keep in mind that the Cavaliers still own the struggling Brooklyn Nets’ first pick in the 2018 NBA draft. So even if James departs, Cleveland could still have a respected roster with Hill, Hood, Love, Clarkson, Nance, Smith, Korver, center Tristan Thompson, intriguing rookie forward Cedi Osman and a high selection in an upcoming draft that is top-heavy in impact talent. Who knows what the future holds for James? But at least with this restructured, younger, athletic, talented and hungrier roster, the three-time NBA champion appears to have a renewed opportunity to compete for another title.